1. How will I know if my surgery was successful? 2. What am I looking for in a surgeon? 3. What are your certifications? 4. How long have you been practicing? 5. How many times have you done this surgery before? 6. May I see examples of your past work? 7. What procedure will most help me achieve my goals? 8. Am I a good candidate for this procedure? If not, what would you recommend? 9. What are my options if I’m dissatisfied? 10. How much will the surgery cost? 11. What additional costs might I incur? 12. Where will my surgery be conducted? 13. What are the possible complications? 14. What will my recovery be like? 15. How long will the results last? Put your health and looks in capable hands by knowing what questions to ask before scheduling a cosmetic procedure. For many patients, cosmetic surgery can reveal more than just a new look; it can improve their entire outlook on life and have a huge effect on their confidence. So it’s no wonder prospective patients are often eager to get the process started. However, before you schedule that surgery you’re so looking forward to, make sure to take the time to thoroughly investigate your options. The more you know about the cosmetic procedures available to you, the better your decisions will be when it comes time to lay your money on the table. When considering plastic surgery, the first person you need to consult is you. You are the only one who knows exactly what you’re hoping to look like after the cosmetic procedure, therefore you’re the best person to set your goals and criteria for success. By first knowing what success means to you. If you’re choosing cosmetic surgery because you want to look younger or different, ask yourself what that means. Are you looking for a smaller nose? Fewer wrinkles? More defined cheekbones? Understanding your goals will help you achieve them. If you’re not sure how to answer this question because you don’t know which exact changes will ultimately help you look your best, don’t worry. This question requires that you be honest with yourself with respect to the changes you want to make. Afterward you can take that information to a qualified cosmetic surgeon and together choose your ideal game plan. Before you start your search for the right surgeon, you first need to define your criteria. Obviously, you want someone who meets all the proper qualifications and is highly skilled – basically, an ABMS certified cosmetic surgeon. But you also want someone whose rates are compatible with your budget. What about bedside manner? Are you looking for a friendly surgeon who will hold your hand or one whose manner is more clinical and down-to-business? Would you prefer a surgeon who will guide you toward the ideal procedure or one who will take your lead and do exactly what you ask them? It’s important to consider these things before speaking with a surgeon in order to avoid being overly influenced by that doctor’s particular style. As you read the following questions, think about how you would like your potential surgeon to respond to them. This will go a long way toward helping you recognize when a surgeon is the right fit for you. You’ve taken some time to reflect and have a pretty good idea of what you want from both your surgeon and the surgery itself. You’ve even set up a handful of consultations to interview potential candidates and learn more about their practices. Great. What is paramount at this point in your search is your potential surgeon’s qualifications. The man or woman sitting in front of you could be perfectly friendly and knowledgeable, but any one of the following key questions could easily disqualify them. This is definitely not a question to take lightly. There are far too many individuals across the globe who practice plastic surgery without so much as a medical degree. What’s more, not all of these imposters are operating in back alley rooms. Don’t assume that someone with a smile, a website and a nice office is automatically qualified to work on you. It could be the biggest mistake of your life. If you’re in the United States, always be absolutely certain your physician is board certified by the American Board of Medical Specialties (ABMS). There are 24 Member Boards recognized by the American Board of Medical Specialties, but the ones that are most applicable to cosmetic surgery are dermatology, plastic surgery and otolaryngology (aka facial plastic surgeons). There are many other organizations with less stringent membership criteria, so be careful: just because some board or body has an official sounding name does not make them reputable – not in the slightest. So be warned. Do your research. This one is pretty straightforward. The longer a surgeon has been practicing, the more skilled they’re likely to be. Of course, every plastic surgeon has to start somewhere. If the surgeon you are speaking with is relatively new to the practice but an excellent fit in every other way, use your best judgement. Ask them about their education and residency to get a better sense of their qualifications. The more time a surgeon has spent performing any particular surgical procedure, the better they’re likely to be at the said procedure. So do your best to find a doctor who specializes in the type of work that you’re looking to have done. Also, if possible, look into their success and failure rates. If nothing else, all of the licensing boards will have malpractice records. Should you discover a surgeon has done a procedure many times but has a less than stellar success rate, it’s probably time to move on. Don’t be shy. It might feel rude to ask this, but you’re about to make a big decision and it’s imperative that you exercise due diligence. Most – if not all – plastic surgeons will have before and after photos readily available and may very well volunteer this information without your needing to ask for it.These questions were all primarily focused on your prospective surgeon’s qualifications. While that’s obviously crucially important information, there’s still other significant factors to consider when deciding if a surgeon is right for you. Their opinions, practices and facility will also help you determine how compatible any given physician is with with your needs. Although it’s certainly possible you know exactly what surgery you want, it’s more likely that you’re looking for a little guidance. Regardless of your personal situation, soliciting the input of a select few plastic surgeons can only help as nobody is more qualified to offer you realistic solutions to your cosmetic issues than an actual expert. Remember earlier, when we advised you to take some time to reflect upon your cosmetic surgery goals? Well, your initial consultation with a prospective doctor is the ideal time to bring them up. Plastic surgeons want you to be happy. The more clear you are about what you want to change, the easier it will be for them to make that change a reality. Trust that the most qualified surgeons will have an eye for plastic surgery and be able to “see” what results would work best for your age skin, and unique bone structure. The more clear you are about what you want to change, the easier it will be for them to make that change a reality. Let’s say you already know what you want. Maybe you’ve been passionate about a nose job (rhinoplasty) for nearly a decade and you’ve finally worked up the courage to get it done. That’s wonderful, but it still doesn’t hurt to slow down for a moment and discuss your cosmetic goals with your prospective surgeon. It’s entirely possible he or she might have a few different ideas about how to get you looking your best. Maybe they have a procedure that will provide you more bang for your buck? It’s certainly within the realm of possibility. Of course, nobody says you have to take their advice, but there’s no question that the more information you acquire on the various procedural options available to you the better. All right, it’s time to address the largest elephant in the room. It’s possible that you could be unhappy with the results of your surgery. That doesn’t mean your surgeon isn’t skilled or that the surgery itself was botched in any way. As we’ve already stated, cosmetic surgery is in many ways subjective. Maybe the facelift you got wasn’t the right procedure for you. Maybe that button nose you insisted upon doesn’t match the rest of your face. While it’s best to heed your surgeon’s advice beforehand in order to avoid these situations, sometimes these things just happen. Discussing that possibility with your surgeon straight away could very well eliminate it. Ask about the protocol for patients who emerge unhappy with their results. Try to keep an open mind when consulting with a surgeon. The more you allow them to guide you, the better your chances for success. Now it’s time to tackle that other elephant in the room: payment. Plastic surgery isn’t cheap and rarely covered by insurance. What’s more, it can be rife with hidden costs, particularly if you’re facing multiple surgeries or unexpected complications arise. Talk to your surgeon about the up front costs and any potential unexpected costs that might possibly pop up before committing to surgery. It seems like a straightforward question, but you’d be surprised at how many people don’t inquire about the financial burden before getting a procedure done. Unless you have a compelling medical reason for your surgery, you need to understand that you will be responsible for the full cost. Prices vary from surgeon to surgeon, often quite substantially, so be sure to ask each doctor you consult with what they charge. This is a tricky one for surgeons to answer. Ideally, there won’t be any additional costs. Plus, it can be difficult for a doctor to anticipate and give a price quote for every single possible scenario. However, surgeons should be able to give you a good idea of the more common side effects or complications and the associated costs with any given procedure. They may also be able to inform you of the various costs you could incur post-surgery, for example, the money you’ll need in order to buy medical-grade skin care products or the price of certain maintenance surgeries.While it’s important to make sure you can afford the surgery in the first place, don’t make the mistake of jumping at the cheapest option. With cosmetic surgery, as with many things, you often get what you pay for. The most experienced, in-demand surgeons aren’t always the most expensive, but they definitely aren’t going to be the least expensive either. Fortunately, when choosing a board-certified plastic surgeon, you can rest assured you’re in good hands, so if you can find one who works cheap, well, that’s definitely a doctor worthy of consideration. You know that your impending surgery will help you look your best. However, don’t get so focused on the results that you forget to ask the important questions. If you were having any other kind of surgery, you’d certainly want to know where it’s happening, how it’s happening, how you’ll feel like afterward, how long it will take you to recover, among other specifics. Take the time during the consultation to ask the important questions pertinent to your surgery. You want your surgery to be done in a hospital or other accredited surgical facility. Do not get your surgery done at a spa. This is surgery, not a facial scrub, and should be taken seriously. If you’re having the procedure done at a surgery center that isn’t attached to a hospital, make sure your doctor has hospital privileges. Because on the off-chance that something were to go wrong, they need to be able to bring you to a local hospital for help. This is an essential detail for patient safety. We’ve already talked about potential costs related to unforeseen complications but it’s also important to understand the complications themselves. What might happen? What are your options if something does happen? Might you experience any long-term or permanent damage? How will you know if something has gone wrong and when should you call the doctor? This general question can really be broken down into three parts: 1-how long your recovery period will last and when will you be able to resume normal activities; 2-what will your limitations be; and 3-what side effects might you experience? It’s important that you understand exactly what to expect in order to avoid aggravating the healing process or, for that matter, confusing harmless side effects with warning signs of more serious complications. This is a common question and likely one you’ve already been wondering about. After all, you’re about to invest a significant amount of money into something and not surprisingly want to know how far it will take you. Discuss realistic expectations with your prospective surgeon and don’t forget to ask them what steps you can take to prolong the life of your new look and help you achieve the best results. Of course, these questions only scratch the surface. 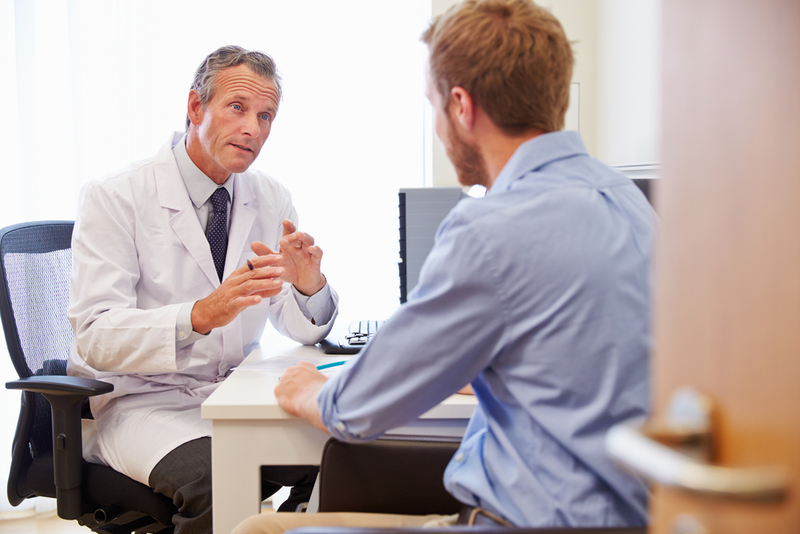 When consulting with your surgeon, don’t be shy to ask follow-up questions or any other questions you might have. Be curious and diligent. Most surgical procedures take time to complete and even more time to recover from. If you have the time to get a cosmetic procedure done, you have the time to do your research beforehand. There may be fifteen questions on this list but there could be dozens more you’ll want to ask over the course of your journey to a new you. Treat your body and your wallet with respect by being upfront and thorough. You’re about to make a very important decision; try to get the most out of your cosmetic surgery consultations to help you make the right one. I am a former teacher, current resident of Colorado, and new mom. When I’m not writing and chilling with my son, I’m gaming, watching movies, doing yoga, eating out, taking pictures, and harassing my cats. I love words.